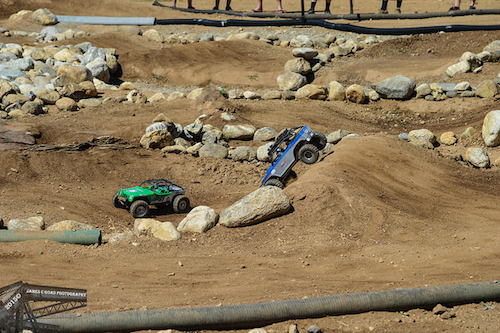 The Yeti, Yeti XL and EXO Terra Buggy all have one thing in common. All three are built to be able to go fast, and the thing about speed is you always want more. Many factors contribute to how fast a vehicle goes. The main factors include, but are not limited to, the motor, battery, and gearing. While upgrading the motor and battery are common ways to increase speed, gearing also makes a big difference but does so at a fraction of the cost of other modifications. The other thing to know is gearing changes are often needed when making the previously mentioned motor and battery changes. 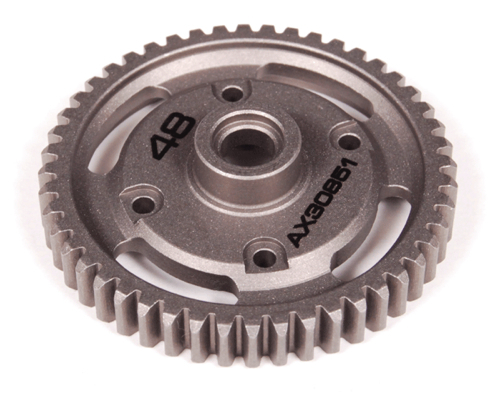 Gearing is primarily influenced by what are often called the primary gears, which are the pinion and spur. 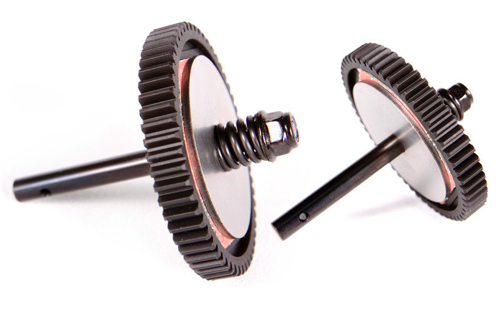 The pinion is the small gear that attaches directly to the motor’s output shaft. The spur gear is much larger and is spun by the moving spur gear. 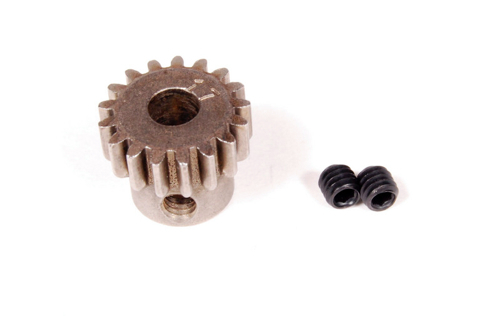 The pinion gear is most often metal and spur gears are most often a composite plastic. 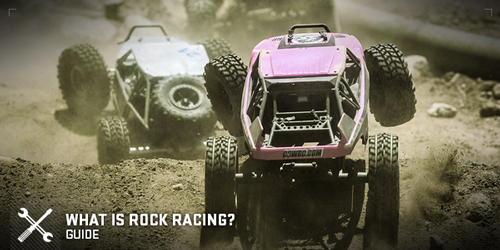 There are many options available in the radio control hobby. As such plastic pinions are available, but should never be used for Axial vehicles. 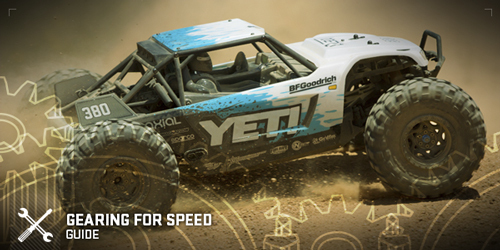 Metal spur gears are available and are, in fact stock, on both the kit and RTR Yeti XL vehicles. 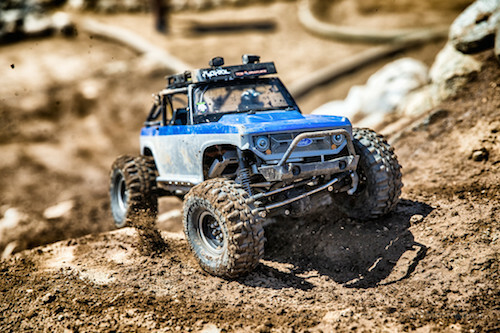 The most common question after purchasing an RC vehicle is “how do I make it faster?” As previously mentioned, motors and batteries make a big difference, but gearing is a significant part. The key part is installing a larger tooth count pinion gear will make a vehicle faster. It will also decrease runtime and increase the heat in components such as the motor, speed control and even battery. Installing a smaller tooth-count spur gear will provide the same results. Again, bigger pinion, more speed. Smaller spur, more speed. Speed comes at the expense of more heat and excessive heat will ruin components. When installing a new motor, gearing has to be addressed. 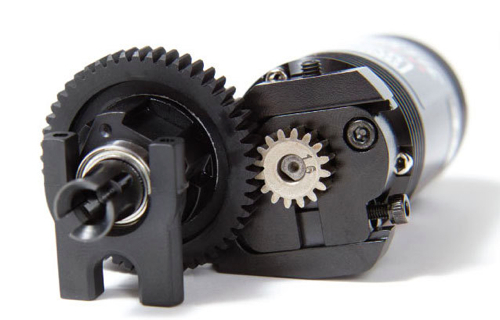 The stock gearing has been optimized for the stock motor and expected battery. Sometimes nothing has to change, but gearing must be addressed. Often, a smaller pinion is needed to keep temperatures in check. If a battery change is made from NiMH to a 2-cell LiPo or further to a 3-cell LiPo, a significant gearing change may be needed. Often the best high performance setup is a high voltage battery with a mild motor and gearing. In the end, what most people are confused about is how changing gearing impacts speed. 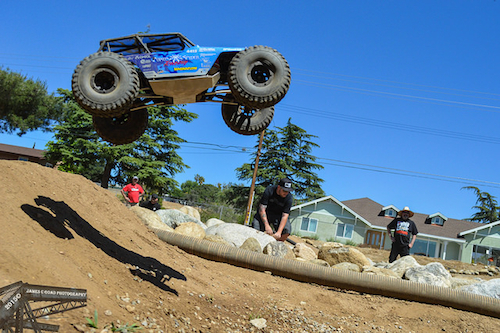 The bottom line is a larger pinion gear will make your Axial vehicle faster. A smaller spur gear will have the same effect.